VICE-PRESIDENT Constantino Chiwenga's regular visits to foreign hospitals have drawn renewed fire from hard-pressed Zimbabweans, who yesterday called on President Emmerson Mnangagwa's government to properly fund the local health delivery system and ensure all leaders seek treatment at home and serve on foreign currency. This comes amid reports that Chiwenga was last week flown to India where he reportedly underwent a minor abdominal surgery, shortly after visiting a South African hospital over an undisclosed ailment – all at the expense of the taxpayer. Last week, Zimbabweans living in South Africa picketed at a hospital in Cape Town, where he was suspected to have been receiving treatment. Following the protests, Chiwenga made a cameo appearance at Cabinet and on ZBC before being airlifted to India. On Sunday, Information deputy minister Energy Mutodi tweeted that Chiwenga was recuperating in India. 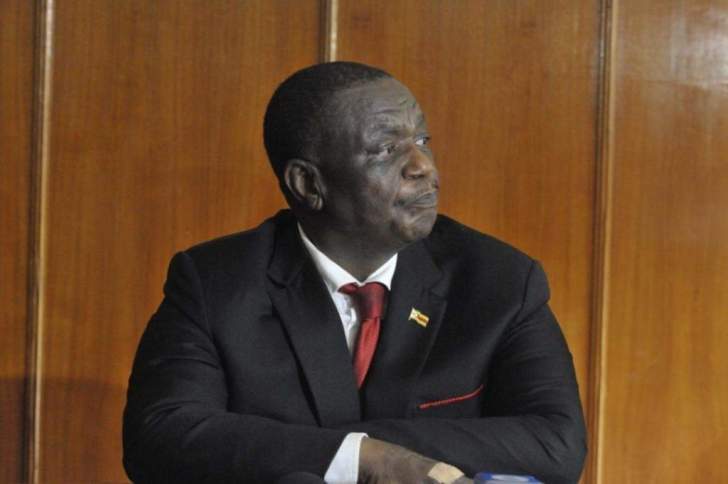 "The Hon Vice-President CDN Chiwenga is recovering well from some minor abdominal ailment in Delhi, India," he tweeted. Zimbabwe Association of Doctors for Human Rights (ZADHR) spokesperson Fortune Nyamande said, while it was Chiwenga's right to access treatment in India, the fact that he did not seek medical attention locally was a vote-of-no-confidence in the local health delivery system. "We don't have the finer details on whether or not the ailment could be treated locally or not, so in that aspect we cannot comment except to say that had he accessed treatment locally, it would have saved resources and also show confidence in the health delivery system," he said. "It shows that there should be more investment in the health sector, especially in surgical operations and management of critical health problems. We believe we have adequate human resources to deal with these matters," he said. Jacob Mafume, spokesperson of the main opposition MDC also said, while he wished Chiwengas a speedy recovery, the party called on government to invest more in the health delivery system. "It then underscores the need for the nation to invest in health systems as you know we are all human beings; poor health affects everyone, it affects the top of our society, it affects those at the bottom of our society and indeed those are the ones that are affected by our decisions as leaders," he said. "We need our hospitals to be up to scratch, we cannot visit our hospitals when we want to sweep them, when we want to remove dirt, those hospitals need to be equipped to have doctors, they need to have nurses," he said.